I haven't used these bags yet. They seem to be sturdy and I love having zippers on them. I think my bra will fit in the small bags beautifully. I would recommend these bags. I think I can put a sweater in the large bag. These are just what I needed for some small and delicate items I like to wash myself. Use in the laundry for delicate items. I need to wash fine garments at times. I liked the size of the large bag. I like the smaller size bags and they are hard to find. This set gave me 2 small bags with 1 large bag. I use these often for lingerie. To protect delicates in washer. I was glad when I saw these in the catalog. 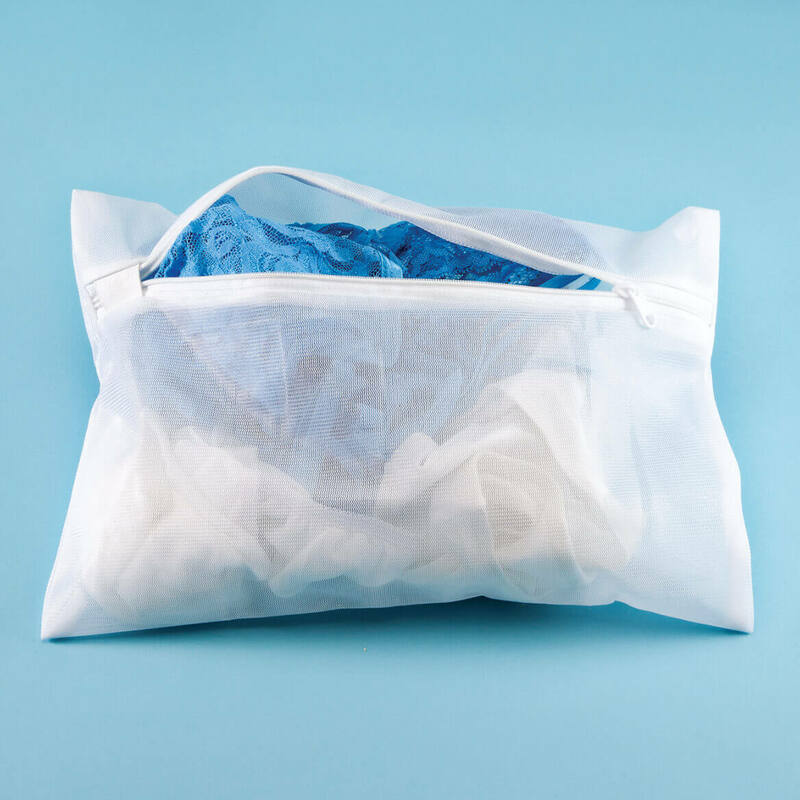 I have been looking for bags like this and they do save on your nylons, undergarments, etc. These will come in handy when I am washing small articles. for fine washables to stay together by person in our family. will try out with this set. depending on quality, may buy more later. How do I keep my glasses from slipping? BEST ANSWER: I don’t know what laundry bags ave to do with your glasses slipping. 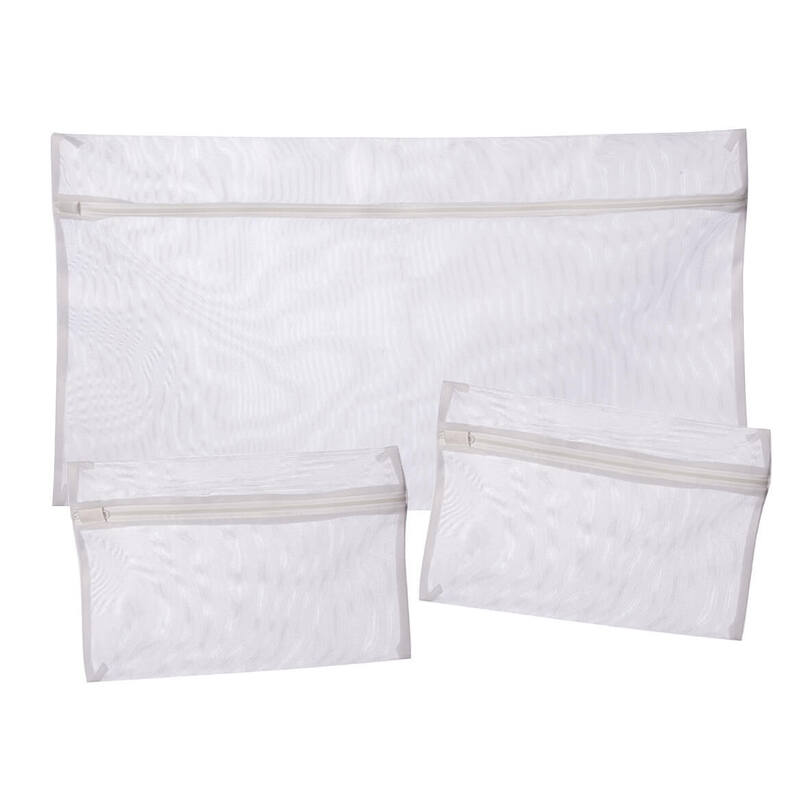 The bags are great for keeping your delicate clothes from getting torn up by other clothes in the wash.
what are the dimensions of these bags? BEST ANSWER: Thank you for your question. You get two small and one large in the set of three.We hope this information will be of help to you.